Be ONE with Christ--There is power in unity with the Holy Trinity. Home All Articles Archive Be “One” with Christ–There is power in unity with the Holy Trinity. Life as a Christian is so much easier when we are one with Christ. But, if we want to be one with Jesus, it helps to first understand God’s triune nature. 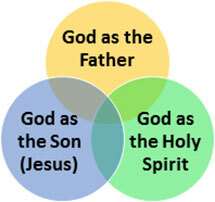 God the Father, God the Son and God the Holy Spirit are one. God reveals Himself as three distinct personalities who operate in perfect unity. God the Father, God the Son and God the Holy Spirit have the same character and function in perfect harmony with each other (John 14:8-10, John 7:38-40, Galatians 5:22-23). Think about it this way. The Holy Trinity is not 1+1+1=3; God is 13=1. Mark 12:29, New King James Version – Jesus answered him, “The first of all the commandments is: ‘Hear, O Israel, the Lord our God, the Lord is one. So, God as Father developed a Salvation Plan so we could enjoy communion with Him again (Ephesians 1:4-5). Then, God as Son died for our sins to fulfill God’s Plan. Before Jesus died on the cross, He prayed we would experience the glory and power of being one with Him and the Father and promised the Comforter (God the Holy Spirit) would come in His place. John 17:20-25, Living Bible – 20 “I am not praying for these alone but also for the future believers who will come to me because of the testimony of these. 21 My prayer for all of them is that they will be of one heart and mind, just as you and I are, Father—that just as you are in me and I am in you, so they will be in us, and the world will believe you sent me. 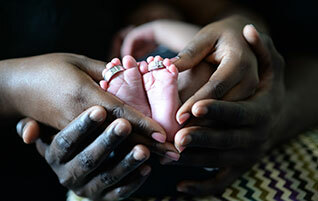 22 “I have given them the glory you gave me—the glorious unity of being one, as we are— 23 I in them and you in me, all being perfected into one—so that the world will know you sent me and will understand that you love them as much as you love me. Now, God as the Holy Spirit is working diligently to bring Christians into unity with God again. Do not frustrate the work of the Holy Spirit. Believers who refuse to operate in unity in the Body of Christ become in danger of being “cut off” (Romans 11:22). 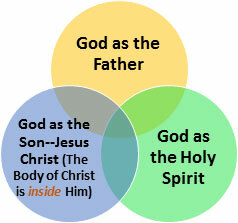 The Lord our God (Father, Son and Spirit) are truly one—operating in harmony with the same heart and mind (1 John 5:7). God is “one” and He wants the Body of Christ to be “one” too! The next step to becoming one with Christ is to love God and obey His commandments. Our love for God is demonstrated by our obedience to God. Jesus said the people who obey me are the people who love me. John 14:23-24, Living Bible – 23 Jesus replied, “Because I will only reveal myself to those who love me and obey me. The Father will love them too, and we will come to them and live with them. 24 Anyone who doesn’t obey me doesn’t love me. And remember, I am not making up this answer to your question! It is the answer given by the Father who sent me. Hint: Obedience is not hard when we are filled with God as the Holy Spirit. holiness, one with Christ, salvation, trinity, unity. Bookmark.